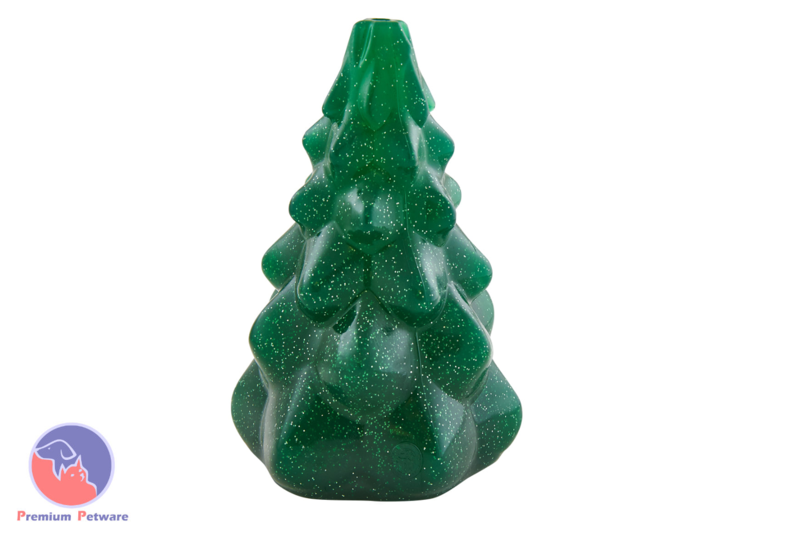 Christmas Tree is scented with Evergreen and made of Planet Dog’s signature Orbee-Tuff® material, meaning it is Made in the USA, durable, completely non-toxic, buoyant and is as safe for humans (even babies) as it is for dogs. The BEST guarantee. Since the first Planet Dog toy sold in 1997, every product they make is 100% guaranteed. Any time. Every time. – If it is chewed, return it. – If it is destroyed, return it. – If it doesn’t fit, return it. – If the dog doesn’t like it, return it. If you are not 100% satisfied for any reason, simply contact the Planet Dog Customer Service team and they will replace your product, find a better product for your dog or refund/credit you. Any time. Every time.